Traditionally companies have spent their time and money on the aesthetics of packaging – differentiating their product from the competition. Now however, company’s attention has turned to the consumer experience as well as supplier experience with the packaging. To gain a wider understanding we have looked into some recent developments in the packaging industry in the attempt to understand what the future of packaging looks like. A recent development in packaging has been shelf ready packaging. Hailed as the perfect method for brands to grab the attention of consumers, SRP is now more useful for the marketing of brands than ever before. Packaging company Smurfit Kappa has revealed that brands are missing a significant marketing opportunity by over-looking shelf ready packaging. SRP was originally developed in order to lower the cost of everyday logistics and tackle the time consuming issue of traditionally putting out the items on shelves individually. In recent research it was found that the right packaging for a brand can dramatically influence the sales outcome with the product being noticed by up to 76% more by consumers. The issue, however, then arises when the packaging itself becomes difficult to open for others, in particular the older demographic. It is now said that when companies are creating child resistant packaging there should also be guidelines in order to make the packaging senior friendly all the same. The difficulty is finding that balance. In addition to all of these new breakthroughs with packaging there is another aspect that is also affecting companies within the industry. In a recent write up from Danielle Peacock she talks about ‘Millennials’ being generations aged 18-34. She puts forward the idea that coming of age in the middle of a recession has had great impacts on the generation in terms of their delay in marriage, home buying and having children. In addition millennials are known to be a lot more brand aware making them a lot more vocal and influential not only on their own purchasing habits but those of others also. So what exactly does this mean for the packaging industry? The Millennial Perspective is now something companies have to consider heavily, not just with their packaging but with their whole company image and branding. According to a Boston Consulting Group article; Millennials want a two-way relationship with brands, something that they call the “reciprocity principle”. An article wrote in the InsidePackaging magazine argued that the next generation are now extending their values through their purchasing power. Therefore companies now need to extend their values through their packaging and brand in order to influence the Millennials who prefer companies that “do good”. This includes being socially and environmentally responsible. It is said that millennials like information and finding companies who have values matching their own, asking questions like; ‘Is the packaging recyclable?’ Does the company have a larger social benefit mission?’ Again, this gives companies something to consider when choosing their packaging. All of this contributes to the future of packaging and how the industry will develop moving forward. Although every company may be different in terms of the products and packaging they produce, it could be argued that all share the theme of keeping up with what is needed within the industry, whether that be shelf ready packaging, child resistant packaging or packaging with a back story. It is an industry constantly changing to provide the best for consumers and Omega Plastics are definitely a company that can help you with that. 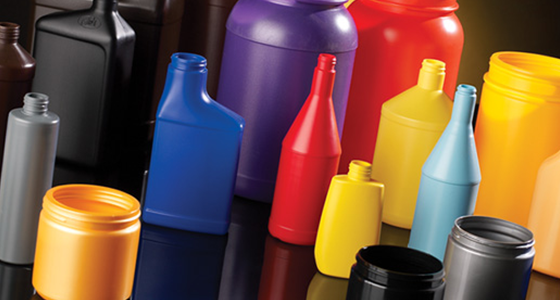 Specialising in plastic injection moulding, with a wide range of capabilities and a well experienced team, we are confident that we can help you meet your plastic packaging needs and help get your product into the market place in a fast and efficient manner. You can read a lot more information regarding our service offerings on our services pages.